Independence Day is just around the corner but, unfortunately, there is no Independence Day Weekend this here because July 4 falls on a Wednesday. This means there will be some adjustments for the time period when June slides into July. 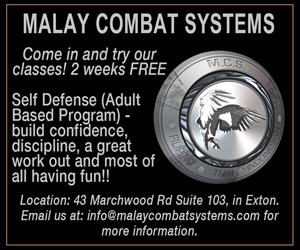 There will still be a wide variety of holiday activities – they just won’t be weekend activities. 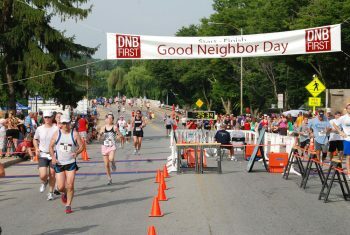 Area residents know that the arrival of the Independence Day signals the arrival of two of Chester County’s longest-running and most popular Independence Day events — Downingtown Good Neighbor Day (Kerr Park, Downingtown, 610-285-1119, www.goodneighborday.com) and Freedom Fest (Nottingham County Park, 150 Park Road, Nottingham, 610-932-2589, www.chesco.org/ccparks). 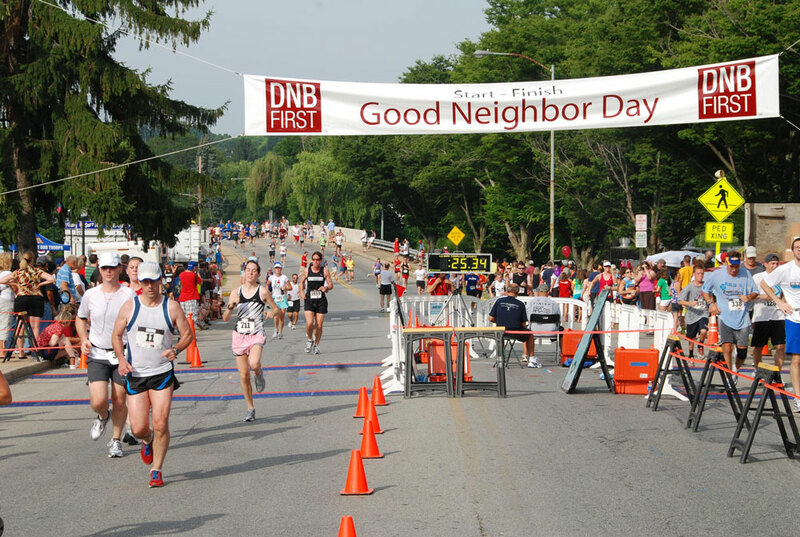 The 40th Annual Downingtown Good Neighbor Day will be held on July 4 at Kerr Park in Downingtown from 6:30 a.m.-10 p.m. Activities will get underway with a “Prayer and Flag Ceremony” at 7:40 a.m. and then it will be time for the races. The 40th Annual Run for Life (5K, 10K & 15K) and the 23rd Annual 5K Freedom Walk are scheduled for 8 a.m. while the 23rd Annual Kids-K Fun Run starts at 10 a.m. The large array of crafts, food and vendors’ booths will open at 8 a.m. Carnival rides, amusement games and festival food will be available from 10 a.m. until closing. Other activities scheduled for the pre-noon hours are the Annual Bicycle Decorating Contest at 10:30 a.m., the Big Wheel Race and the Canoe Race at 10 a.m.
A special attraction at 11:30 a.m. will be “Hunters of the Sky!,” which is a live bird of prey program in the Gazebo. Then, at 12:30 p.m., it will be time for the 29th Annual Duck Race and music by Walt Kinsey & Friends Band. A number of other music acts are scheduled throughout the day, including the Pennsylvania Surfers from 2-3 p.m., the Moondawgs from 3:30-4:30 p.m., Jeff Domenick from 5-6 p.m. and School of Rock! 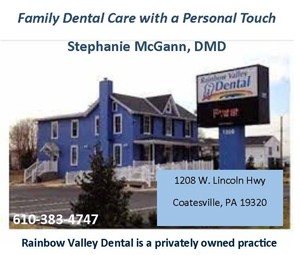 at from 7-8:30 p.m. The day’s festivities will conclude with a Tom Edwards Productions Entertainment Show from 8:30-9:30 p.m. and a fireworks grand finale at dusk. Additionally. The “Red, White and Food Drive” will take place from 10 a.m.-6 p.m. with donations of non-perishable food items requested. Every year, Independence Day is celebrated in style in the southern part of Chester County when Nottingham County Park (150 Park Road, Nottingham, 610-932-2589, www.chesco.org/ccparks) presents its annual Freedom Fest. 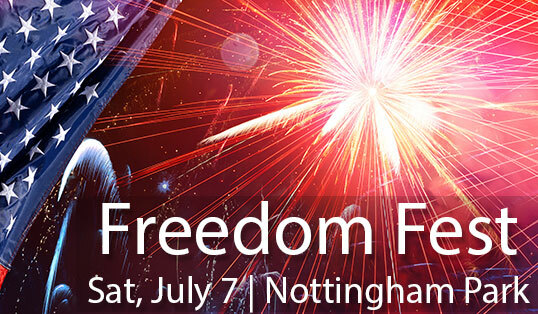 The 27th Annual Freedom Fest will be held on July 7 from 6-11 p.m. at Nottingham County Park, which is located six miles south of Oxford, off U.S. Route 1 just above the Maryland State Line. A number of activities are slated to get underway at 6 p.m. Visitors to the event will be able to climb the attraction “Jacob’s Ladder” or take a turn at twisting and spinning on one of three Orbotrons. Designed by a former NASA engineer, the Orbotron allows riders to flip, spin and swirl based on their body movements. Live music will begin at 7:15 p.m. with a performance by the country rock band Texas Heat. The gala aerial fireworks display — a spectacular 30-minute show — is scheduled to start at 9:30 p.m. 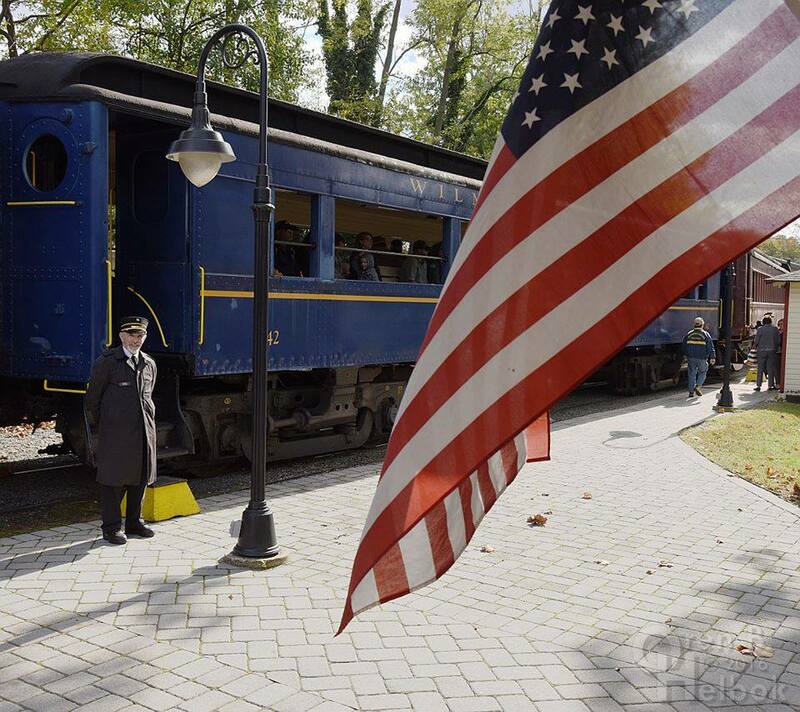 Visitors will be treated to a show that also features ground displays set to patriotic tunes and a grand finale incorporating the traditional raising of the American Flag. Herr Snack Trucks and “Chipper” will distribute free snacks throughout the evening beginning at 6 p.m. and there will be a wide array of food vendors with festival food items such as hot dogs and ice cream. Visitors may also bring a picnic of their own menu items and are advised that — because of security concerns — all coolers, bags and similar items are subject to being searched. Because it is a county park, no alcoholic beverages or pets will be permitted. Field seating is available for both the concert and fireworks. Visitors are encouraged to arrive early and to bring blankets and lawn chairs. There will be a $10-per-vehicle parking fee at Nottingham County Park and Herr’s Corporate Center. 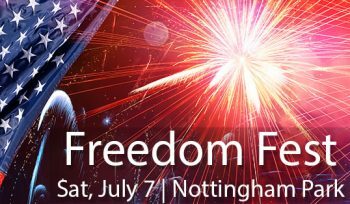 In the event that weather prohibits the setup or safe shooting of the fireworks show, Freedom Fest will be postponed to July 8. Parking vouchers will be distributed at the parking locations. Wawa Welcome America (www.welcomeamerica.com), which runs now through July 4, is a festival of free events in Philadelphia in celebration of our nation’s birthday — a huge party that hits its peak with an abundance of festivities on Independence Day Weekend. June 30’s schedule features Free Museum Day at The Rosenbach, Pennsylvania Academy of Fine Arts, Philadelphia History Museum and First Bank of the United States, On the Delaware Music Festival at Pennypack On The Delaware Park, Red, White & Brew Fest on the Waterfront at SugarHouse Casino, “Pershing’s Own Concert” with the United States Army Band at 8 p.m. at Penn’s Landing and the “Wawa Welcome America! Waterfront Fireworks” at 9:30 p.m. at Penn’s Landing. Activities on July 1 will include Gospel On Independence, Free Museum Morning at One Liberty Observation Deck, Free Museum Day at the Philadelphia Museum of Art, Fort Mifflin, The Barnes Foundation, and African American Museum, and “Philly @ the Movies: Rocky” at 6 p.m. The schedule for July 2 features Free Museum Day at Mütter Museum and Philadelphia Museum of Art, “Philly @ the Movies: Pitch Perfect” and Kimmel Center’s Broadway Philadelphia on Independence at Independence Hall. Special activities on July 3 will be Free Museum Day at National Liberty Museum and the Rodin Museum, Philadelphia’s Historic District Block Party, “Philly @ the Movies: SING” at 9 p.m. and “POPS! on Independence” at Independence Hall. 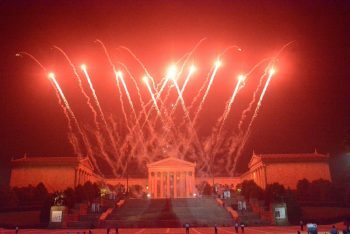 On July 4, activities will include the “Celebration of Freedom Ceremony” from 10-11 a.m. on the steps of Independence Hall, Free Museum Day at National Museum of Jewish American History” and the Independence Day Parade which runs from 11 a.m.-1 p.m. throughout the historic district of Philadelphia. From noon-7 p.m., the Benjamin Franklin Parkway (from 20th Street to the Eakins Oval) will host “Party on the Parkway.” The all-day party features block after block of exciting activities, games, entertainment, and food for the whole family. There also will be a very timely and topical event to celebrate America’s Independence Day. From 1:30-2:30 p.m., the Betsy Ross House will host Flaghouse Chapter NSDAR’s Children’s Naturalization Ceremony. Oval. The scheduled entertainers for the free show are Pitbull, Heather Headley and The Philly POPS Big Band. Festive fireworks displays will be presented by several of the area’s professional baseball teams. 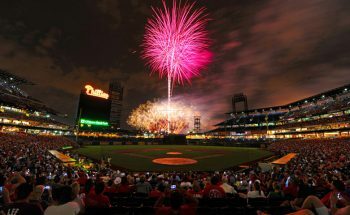 The XFINITY Fireworks Show at Citizens Bank Park (1080 Pattison Avenue, Philadelphia, http://philadelphia.phillies.mlb.com) is scheduled for June 29 and 30. 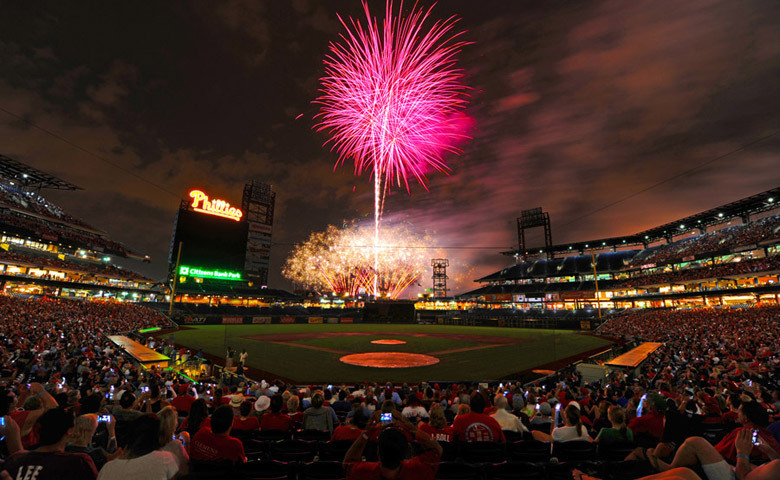 To celebrate America’s independence, the Philadelphia Phillies illuminate the sky above Citizens Bank Park following the baseball game against the Washington Nationals. The fireworks occur 15 minutes after each game. On July 3 at 7:05, the Wilmington Blue Rocks (Frawley Stadium, 801 Shipyard Drive, Wilmington, Delaware, 302-888-2015, http://www.milb.com) will play the Winston-Salem Dash and then present a fireworks extravaganza after the game. The Reading Fightin’ Phillies (First Energy Stadium, 1900 Centre Avenue, Reading, http://www.milb.com) will play the Hartford Yard Goats on June 30 and July 3 at 6:35 p.m. each night. Both games will be followed by “Stars & Stripes Mega Blast,” which is billed as the largest fireworks show in the stadium’s history. 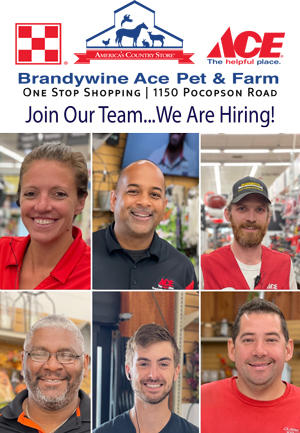 The Lancaster Barnstormers (Clipper Magazine Stadium, 650 North Prince Street, Lancaster, 717-509-3633, http://www.lancasterbarnstormers.com) will play the Road Warriors at 7 p.m. on July 4 and then have a gala fireworks show following the completion of the game. The Riverboat Queen (Wilmington Riverfront, Wilmington, Delaware, riverboatqueeninfo@riverfrontwilm.com) offers weekly scenic Sunday brunch, supper, and Thursday dinner cruises featuring tasty cuisine, professional and friendly crew, and comfortable ambiance aboard the river cruise. On July 4, the popular nautical attraction will present a pair of special Independence Day cruises. On the “Fourth of July BBQ Cruise,” guests can enjoy succulent barbeque and old-fashioned side dishes while docked, and then soft drinks and cocktails along the deck while sailing. Boarding begins at 3:30 p.m. and cruising is from 4-6 p.m. This cruise does not include a view of the fireworks. Tickets are $45 for adults and $22.50 for children (ages 4-12). 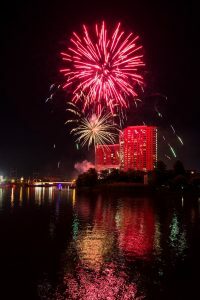 The “Fourth of July Fireworks Cruise on the Riverboat Queen” will feature a delicious BBQ dinner and unforgettable views of the City of Wilmington’s Fourth of July fireworks — all from aboard the Riverboat Queen. Cruise participants can take in the elegant sunset and beautiful scenery of the Christina River and the Wilmington city skyline and end the night with a fantastic view of the Fourth of July fireworks Boarding begins at 7 p.m. and cruise departs at 7:30 p.m. Tickets are $45 for adults and $22.50 for children (ages 4-12). Another interesting way to check out a fireworks display is being offered by the Wilmington and Western Railroad (Greenbank Station, 2201 Newport-Gap Pike, Wilmington, Delaware, 302-998-1930, www.wwrr.com). On July 4, the Wilmington & Western Railroad will run a special “Fireworks Express.” Passengers will board at Greenbank Station and the train will depart at 7 p.m. for Hockessin, which is presenting a festive Fourth of July fireworks extravaganza. The excursion takes about four hours. Tickets are $22 for adults, $20 for seniors, and $18 for children (ages 2-12). Children under 2 can ride for free.